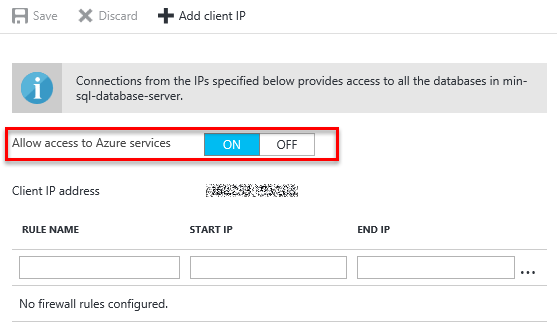 The Azure SQL Database firewall lets you decide which IP addresses may or may not have access to either your Azure SQL Server or your Azure SQL database. When creating an Azure SQL Database, the firewall needs to be configured before anyone will be able to access the database. By default, no external access to your SQL Database will be allowed until you explicitly assign permission by creating a firewall rule. 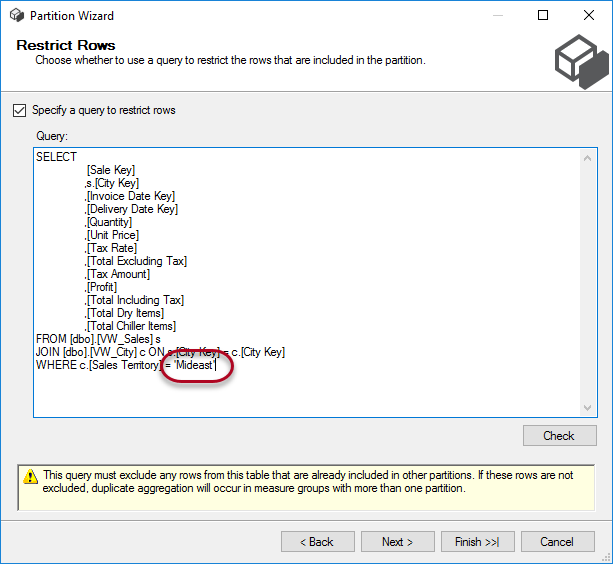 In the article How to partition an SSAS Cube in Analysis Services Multidimensional, we explained how you can partition your measure groups in an SSAS cube. In this article, we’ll look at the expected benefits of the partition strategy. Time to reap the benefits of our hard work. Partitioning is the concept where you divide your data from one logical unit into separate physical chunks. This can have several advantages, such as improved performance or easier maintenance. 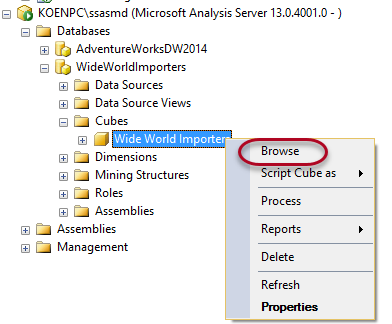 You can for example partition a table in a SQL Server database, but you can also partition your measure groups inside an Analysis Services (SSAS) Multidimensional cube. In this article, we’ll discuss how you can set-up partitioning. For more information about the expected benefits, take a look at Benefits of Partitioning your SSAS Multidimensional Cube. Nowadays, most mid-size companies have implemented a Data Warehouse (DWH) solution. 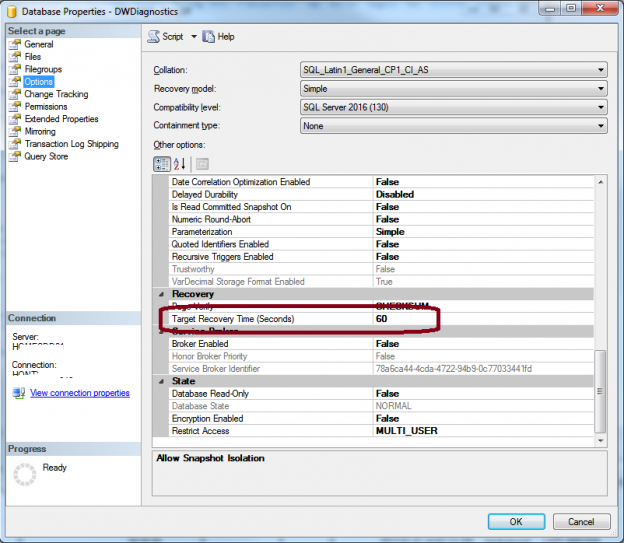 This DWH can be designed using a set of tools (or features) from Microsoft SQL Server. 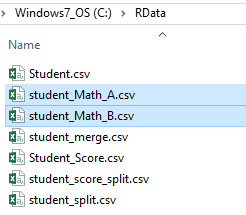 One of them is SQL Server Integration Services, also known as SSIS. 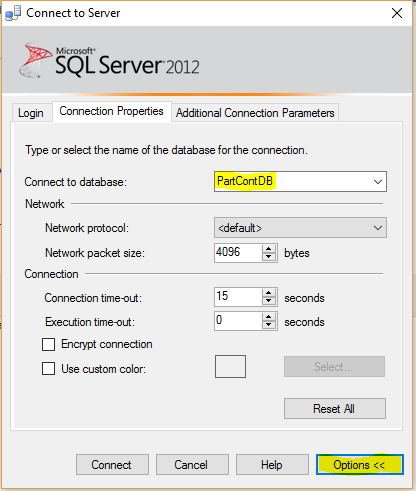 SQL Server is a very powerful tool and wherever I go, I see the tool being way much underutilized. 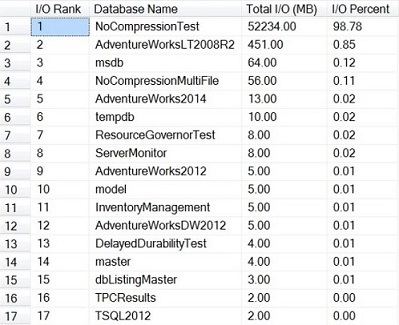 Some people even don’t know about the features which are already in the SQL Server and they have not used it, like SQL Server Extended Events. Though, Extended Events is a way more complex and detailed topic which I cannot cover in just one article I will discuss one of its very good utilities out of the countless. 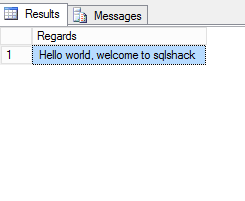 Adequate memory is one of the most important factors for a well-functioning instance of SQL Server. 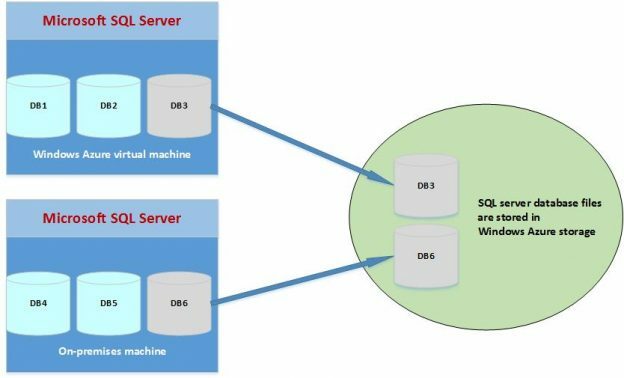 By design SQL Server manages its own memory allocations via the SQLOS rather than having the servers Operating System perform this task. 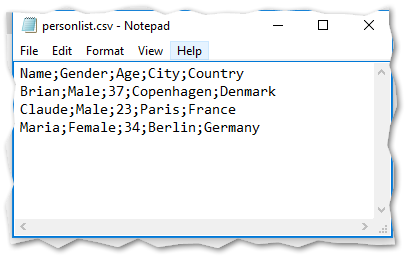 In a previous article, Functions vs stored procedures in SQL Server, we compared Functions vs stored procedures across various attributes. In this article, we will continue the discussion. 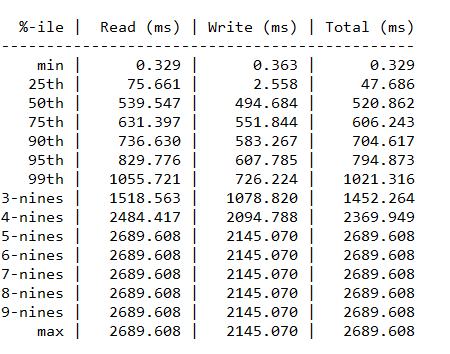 We will talk also about Table-valued functions and compare performance with stored procedures with table valued functions and scalar functions. 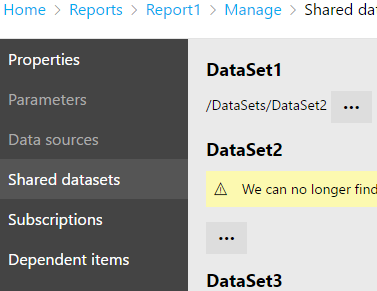 It’s not often that I write negative articles surrounding SQL Server’s latest release but ever since we upgraded one of our BI boxes to run SQL Server Reporting Services 2016 (SSRS 2016), I have picked up on some frustrations from my team when using the upgraded Report Manager portal due to the unavailability of features that used to exist in versions prior to SSRS 2016. 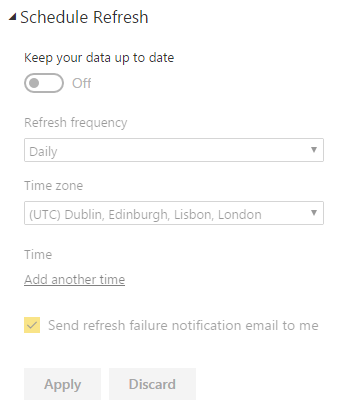 I have since realized that in spite of the many exciting features and improvements introduced in SSRS 2016, there is a downside to this latest version of reporting services that is likely to leave many administrators frustrated. 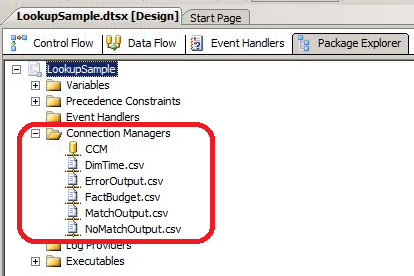 In any application, we will likely have some need to control input data, either altering, filtering or otherwise changing text to fit our application’s needs. As DBAs, we all get to the point where we are asked to setup a new server for a specific environment. Setting up a new server is not a big thing but giving the answer to the question that “how well it will work” might be tricky. 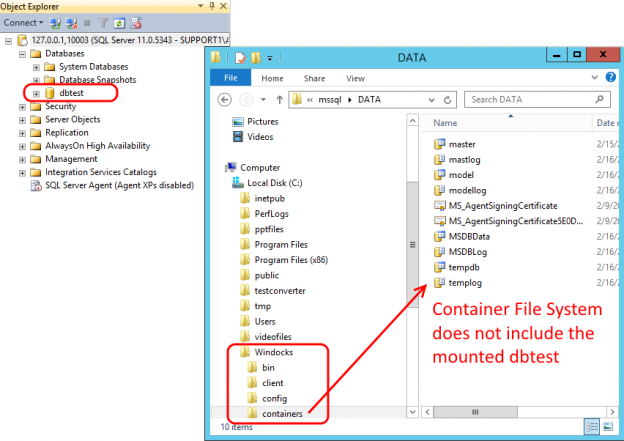 Usually DBAs prefer stored procedures instead of functions in SQL Server. Is this a good practice? A database recovery process is an essential requirement for database systems, It can be a tedious job and the process of recovery varies on lot of scenarios. The desire to improve recovery results has resulted in various procedures, but understood by few and prone to errors. 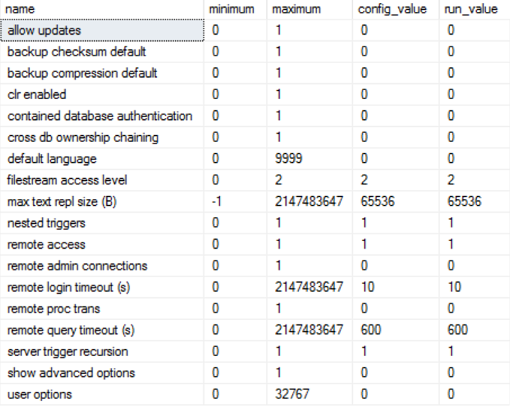 In this article, I’ll illustrate the impact of stopping the database instance in the middle of a large transaction that was running and discuss several techniques and tools that are available for faster and successful recovery.